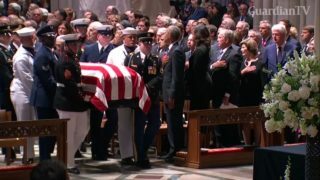 Funeral services for Senator John McCain begins as his remains arrive at the National Catherdal in Washington, D.C. Dozens of people stage a dance protest for LGBT rights outside Trump International Hotel in Washington, D.C.
Gabe Klein, former head of transportation in Washington, D.C. and Chicago, discusses Uber losing an appeal over whether it should pay overtime and give vacation time to its London drivers. 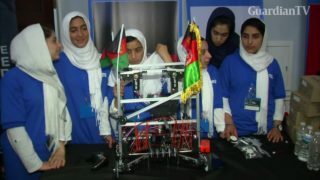 A team of Afghan girls compete in a Washington, D.C. robotics competition after American officials agreed to allow them to enter the country despite initially denying them visas. 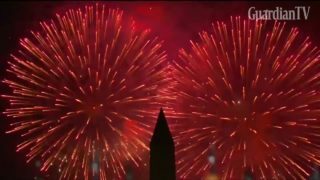 Washington, D.C. holds its annual fireworks display for U.S. Independence Day. Thousands rally for LGBT rights in Washington, D.C.
"We have to be here, we have to stick together," says demonstrator Dakota Fabro during the Equality March for Unity and Pride in Washington, D.C.
Trump planning "very major haircut on Dodd-Frank"
President Trump tells a CEO town hall meeting in Washington, D.C. on Tuesday, that "the regulators are running the banks. 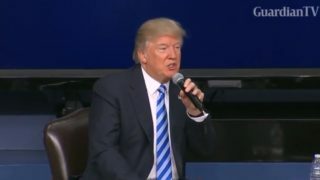 So we're going to do a very major haircut on Dodd-Frank.